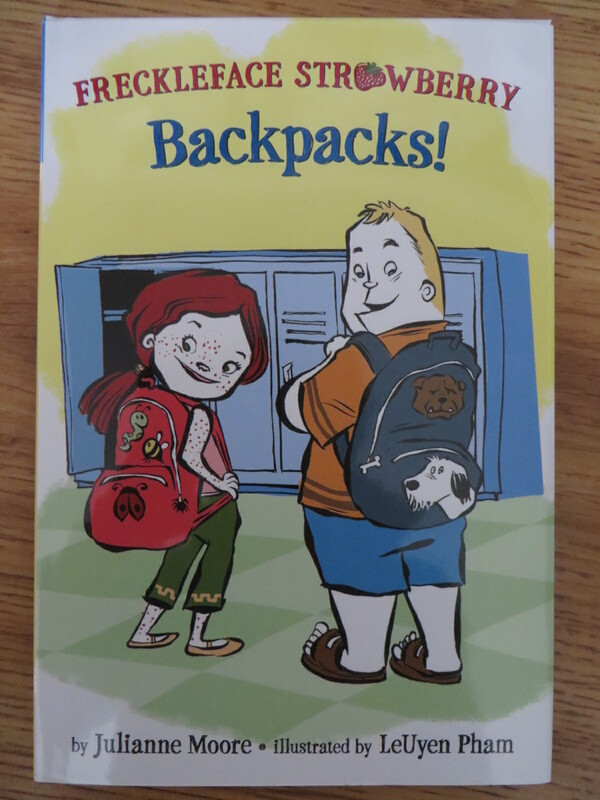 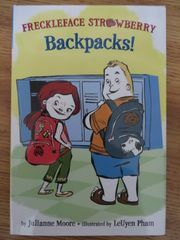 Freckleface Strawberry Backpacks! 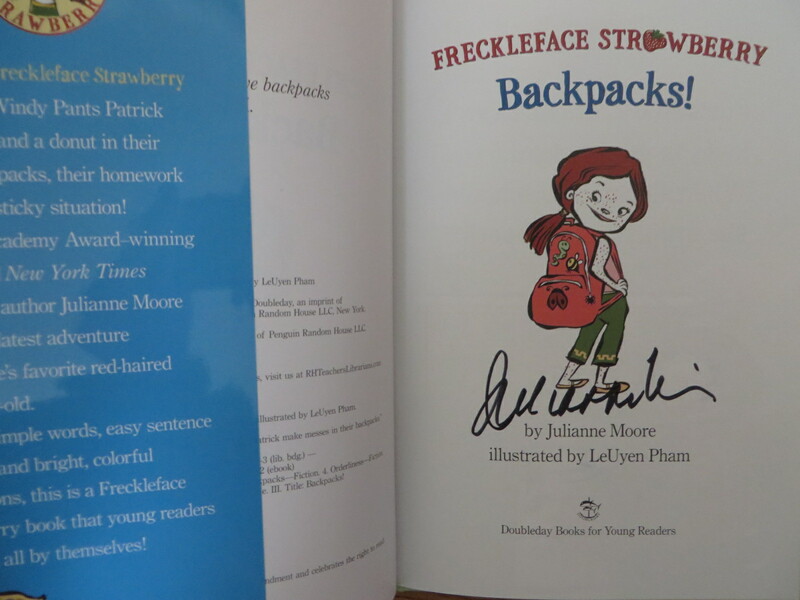 children's hardcover book autographed in black marker on the title page by author and Oscar winning actress Julianne Moore. 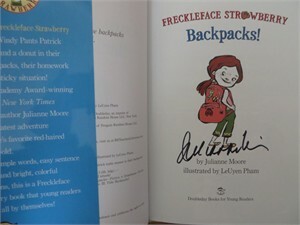 Obtained directly from book signing, with certificate of authenticity from AutographsForSale.com.